Thanksgiving is right around the corner, like literally next week! If the thought of prepping an entire meal seems daunting, check out some of the hot places around town that will do all the cooking and cleaning for you! A few notes: Reservations are required for the restaurants listed here. These are some of the most popular eateries in the desert and there is limited seating wherever you choose. Children’s prices are noted where available, but all prices are subject to change. Beverages and gratuities are not included in the price. This buffet offers cold salads and hot sides; carving stations for turkey, prime rib and ham, gravies and sauces. Dessert is a selection of fresh pies and cheesecakes. The buffet is open from 1 to 8 p.m. Adults are $44 and children, $19.95. Pacifica and La Quinta Cliffhouse are sister-restaurants and offer the same menus for Thanksgiving. 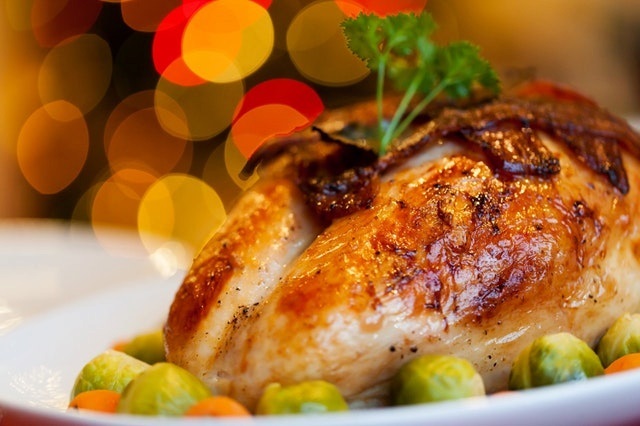 The turkey dinner is $42; other options include wild shrimp, grilled filet mignon, prime rib, vegetarian gnocchi, salmon or Chilean seabass for $49. Service is from 1 to 8 p.m. The setting at Lavender Bistro is beautifully rustic. Along with turkey, options for dinner include lamb shank, duck, filet of Angus beef and salmon. Dinner service begins at 3 p.m. and the cost is $62. Thanksgiving dinner is served from 4 to 9 p.m. at Morgan’s. The three-course menu includes a choice of turkey, salmon, seabass or pasta for the vegetarian option. Dinner is $98. Thanksgiving options include turkey or quinoa with vegan chili (both $53.50), New York sirloin ($58.50) or seabass ($56.50), all include starter and dessert. Service is from 1 to 8 p.m. Chef Andrew Copley offers turkey, beef, fish and vegan/vegetarian selections in all three courses on Thanksgiving. $70 per person; seatings begin at 5:30 p.m. The four-course menu includes house-made soups, turkey, fish, pork and vegetarian options. Service is from 1 to 9 p.m. Adults are $56, children 12 and younger are $28. King’s Highway’s is serving lunch and dinner menus. Lunch, $22, offers a turkey confit sammie and the Cranberry and Little Gem salad. Dinner, $45, adds a second starter in the grilled acorn squash; entrees are fried turkey thigh with stuffing croquet or confit breast with enoki mushroom gravy; and sweet potato pie for dessert. Dine on the three-course dinner with a French Mediterranean twist for the turkey, fish, vegetarian and lobster options. Seatings are from 3 to 3:30 p.m. or 7:45 to 10 p.m. and dinner is $69. The menu includes a three-course prix fixe dinner with turkey, honey-baked ham, salmon and filet mignon leading the charge. The local duo also offers the quinoa-stuffed acorn squash for the vegetarian option. $39.95 per person; 1 to 9 p.m.
Entrée options include slow roasted prime rib or roasted turkey with stuffing, or a filet mignon (add $15); and desserts including cheese plates for an additional charge. Additions sides are $6 each. Adults are $55, with 12 and younger are $25. Seatings: 2 to 9 p.m.; 48-hour cancellation required. Choose from turkey, vegetarian, fish or surf’n’turf options on the menu. And yes, there is a vegan option, too. Desserts include the chef’s well-loved Pumpkin Cheesecake with Rum Carmel sauce. Dinner is $55; there is a $20 corkage fee is you bring your own wine. Seatings: 4 to 8:30 p.m.
Spencer’s offers a choice of turkey, chicken, fish, beef and vegetarian options to choose from. Dinner is served from noon to 8 p.m. The cost is $50 for adults and $25 for 12 and younger. Zin offers turkey, beef, vegan, vegetarian, gluten-free and fish options in all three courses, and a special children’s menu. There are several dessert options including owner Mindy Reed’s Chevre cheesecake with balsamic reduction ($2 additional). Adults are $45.99 from 1 to 3 p.m. and $49.99, 3 p.m. to close. Children are $25.99 at all seatings. Lulu’s sister restaurant at The River will serve the same three-course prix fixe dinner for $39.95 per person; 1 to 9 p.m. The four-course Thanksgiving menu includes a chef’s amuse bouche to start. In addition to turkey, entrée options include a choice of prime rib, filet of sole and veal with crab.